If it works for you, do that. Stay consistent. Over time, your hair will start to flourish because of your healthy habits. This is an important part of haircare; you want to prevent as much breakage and hair fall as possible. Seal in all the moisture you get! From time to time, I like to do twist-outs, blow-outs, or put my hair in a puff. As long as you have an inch of hair to work with, you can try these. I also like protective styles. Just remember that they're not harming your scalp and edges, and they are PROTECTING them! You need that in your life! When I first BC'd, I conditioned more frequently. To this day, I condition every week for soft, supple natural hair. Every 4-6 weeks I do a protein treatment on my hair. But going back to tip number 2: find out what your hair specifically needs, first. You want the thick ends and edges to NOT be see-through. Keep this in mind while styling. Make sure you apply coconut oil whenever you are working with your hair. And make sure your nails are filed and not jagged, as this can add to breakage. Also, sleep on a satin or silk pillow case and use a bonnet! No cotton! Have patience. Take care of what you have, now. You don't want your hair to be "ragged & jagged" ! 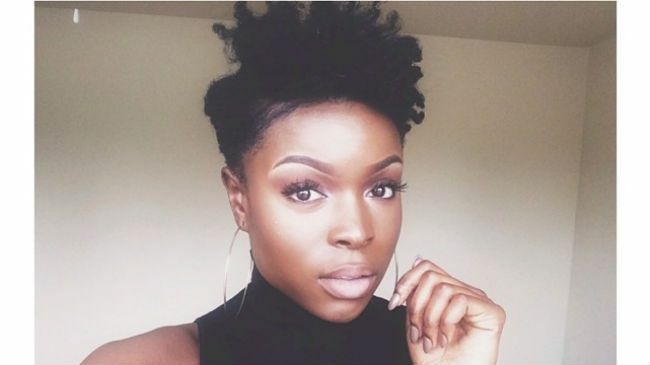 Stay tuned for Paville's next video on tips for growing out your tapered TWA cut. Don't forget to like the video, comment, and subscribe!